FLEXOMANT models are particularly suited to areas of application where an exact and even dosage of herbicides output is required. The new FLEXOMANT-TWO and ONE modules are now also equipped with our innovative Flex spray hoods, which have already proven successful in other models. 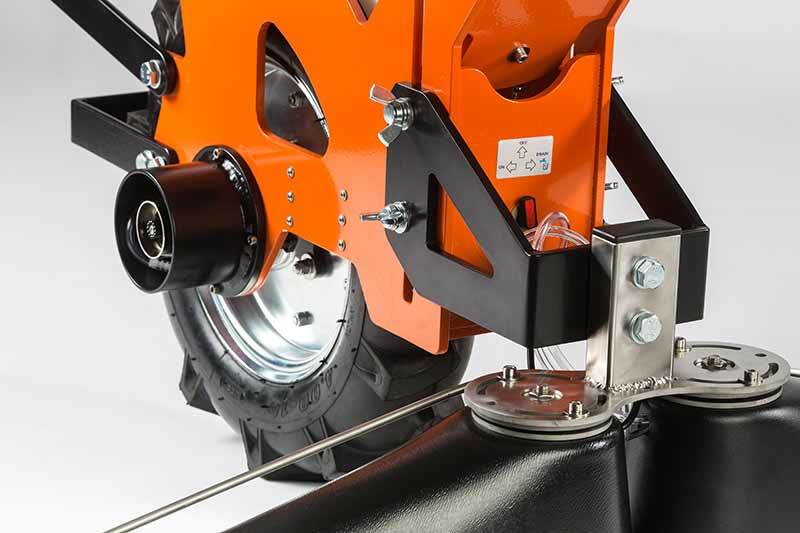 In conjunction with the wheel-driven pump, the patented segment rotation atomiser guarantees accurate distribution of a minimum herbicide quantity over the treated area. On difficult ground, such as loamy soil, the new larger wheel with a thick tread reduces slipping and ensures path-dependent metering even under unfavourable conditions. The parallelogram construction, which ensures that the wheel is in constant contact with the ground and maintains an even distance between the spray hoods and the ground, has been optimally adapted to the new wheel. The Flexomant modules can be combined with various standardised or customer-specific attachment systems, also for special vehicles e.g. gantry tractors. This means significantly more possible applications. Technical data on the various modules and attachment systems can be obtained on request. 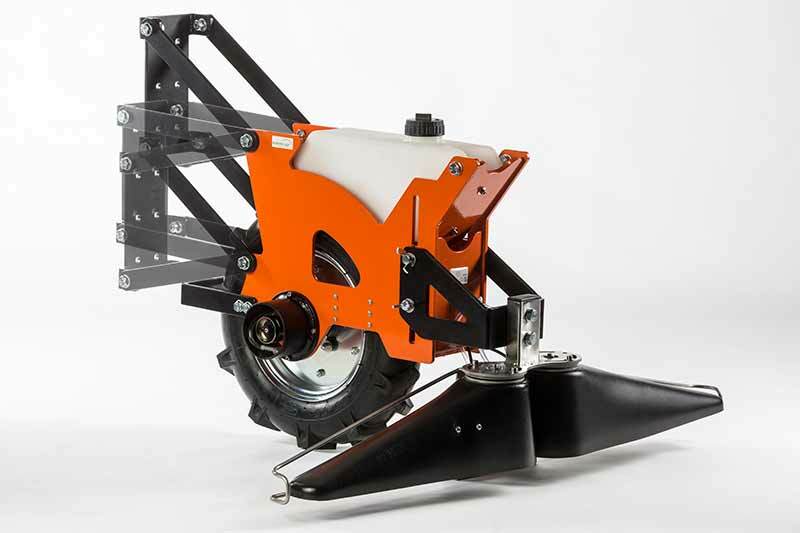 A moving parallelogram, which guarantees a connection between the Flexomant module and a suitable unit carrier, as well as ensuring that the wheel is in constant contact with the ground and that there is an even distance between the ground and the spray hoods. Depending on the herbicide used, the 3-litre tank is sufficient for an area of up to 3 ha. The segment rotation atomiser sprays undiluted herbicide vertically down to minimise the risk of driftage. One or two Flex spray hood(s) each with one segment rotation atomiser cover a maximum spray width of 25 to 110 cm. The height of the spray hoods can be adjusted. When they come into contact with obstacles, they snap back, automatically adjusting the spray width, for example, when row spacing is uneven. The maximum spray width can be reduced, while the snap-back mechanism is maintained. If required, the spray width can also be fixed. 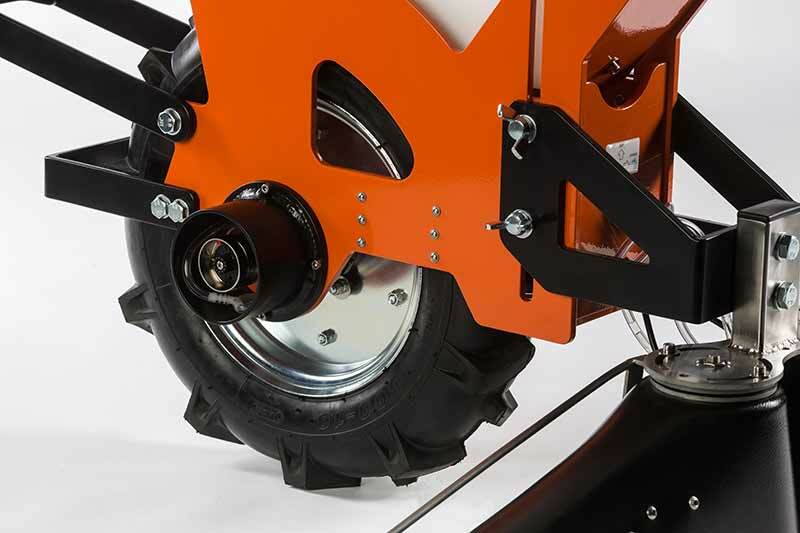 A robust wheel with a thick tyre tread minimises slip, enabling steady pump actuation even over rough ground. A wheel-driven pump guarantees path-dependent, accurate herbicide metering over the entire treated area. Depending on the application, one or more Flexomant modules are used, and these can be delivered with corresponding unit carriers and mounting systems to suit the relevant vehicle used.